Sen. Elizabeth Warren goes for long walks. Sen. Kirsten Gillibrand and former Rep. John Delaney like to lift. And former Rep. Beto O'Rourke is running — literally. And they're documenting it all on camera. It's a way for 2020 Democratic hopefuls to connect with potential voters both in person and on social media as they try to stay healthy on the campaign trail. And it's also a way for them to show off a little something else to the early state primary voters who seem to have one overarching question: Who can beat President Donald Trump? 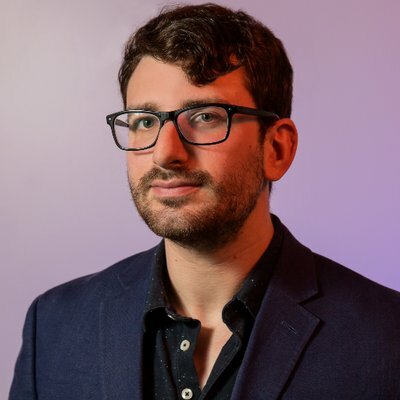 "Donald Trump exercises the dexterity of his twitter finger and hides his medical records, while Democratic candidates pull back the curtain to show they're physically, mentally and emotionally ready on Day 1," Jesse Ferguson, a Democratic strategist who worked on Hillary Clinton's 2016 campaign, told NBC News. On a stop in Reno, Nevada, last week, Warren was up and moving early enough to greet the sun. Early morning walk before our organizing event in Reno, Nevada. Days ago, the latest candidate to enter the race, Rep. Eric Swalwell, D-Calif., stopped mid-jog to urge followers to tune into his campaign announcement. Delaney has been posting about his workouts with an eye toward the Democratic nomination for months. "Got to be strong to beat Trump — first set of deadlifts awaits for today's workout," he tweeted in August 2018. A demonstrably athletic Democratic nominee would provide a contrast to Trump, who has made comments suggesting he does not believe in the benefits of exercise and will be 74 by the time Inauguration Day in 2021 rolls around. Delaney, 55, said that he manages to get some form of exercise four or five days a week, about 40 minutes a pop, and that he can deadlift about 225 pounds. On the road, the former Maryland congressman tries to select hotels based on which one has a gym. 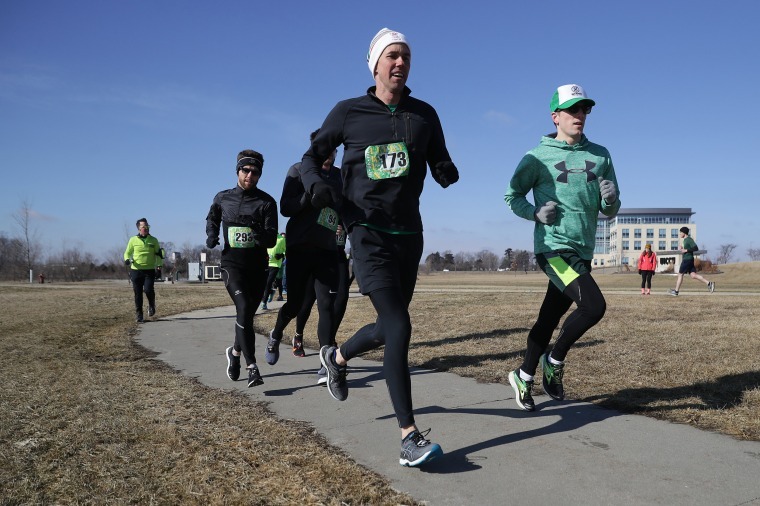 O'Rourke, 46, in particular has embraced the idea of combining campaigning and working out — inviting reporters, TV cameras and potential voters to join him for a St. Patrick's Day 5K in Iowa last month. While campaigning against Sen. Ted Cruz, R-Texas, in 2018, O'Rourke hosted an 8-mile biking town hall in Dallas, fielding questions as he pedaled, his communications director, Chris Evans, said. "He held dozens of early morning running town halls across Texas where voters could jog with him for three or four miles, ask questions while they ran and share what was on their minds," Evans said. Recently, a video of Warren, 69, sprinting to a train in New York City's Penn Station went viral as the camera man, by the time he caught up with Warren and her team, was out of breath. Her exercise routine includes walking an average of six miles per day, she told NBC News. "It's a little harder on the campaign trail, but I keep track and try my best," she said. She's often joined by her husband, Bruce Mann, and their golden retriever. "We let Bailey off his leash and just talk," she said. "When I'm on my own, I listen to audio books." Candidates who don't regularly broadcast their workouts on social media say staying fit is still a priority. Sen. Kamala Harris, D-Calif., regularly attends spin class, according to her campaign. Sen. Cory Booker, D-N.J., often works out at the Senate gym and at home, a campaign spokesperson told NBC News. Booker, a former college football player, is vegan and often posts about health-related subjects. Joe Biden, who has not announced his candidacy but finds himself at the top of early polling, is no slouch for a 76-year-old man, according to his younger brother Frank Biden. In a January interview with Sirius XM's Michael Smerconish, Frank said the former vice president "benches 185 for repetition." "The image of him on the bench with gritted teeth and powering through that last rep is a very accurate one," Frank Biden said. His brother "will be the most dynamic 70-something-year-old you've ever met in your entire life," should he run, he said. Sen. Bernie Sanders, I-Vt., was chopping his own wood as recently as the last presidential cycle, his wife, Jane, told People magazine in January 2016. Sanders, 77, currently leads the pack in fundraising. His campaign did not respond to a request for comment. Trump gets his exercise on the golf course, though he opts to use a cart rather than walk the greens. "I get exercise. I mean I walk, I this, I that," Trump told Reuters last year. "I run over to a building next door. I get more exercise than people think." As The Washington Post reported in 2016, Trump gave up most athletic pursuits after college because he "believed the human body was like a battery, with a finite amount of energy, which exercise only depleted." Delaney said the president's past comments on exercise is "really strange," adding, "We all know that regular exercise does improve the quality of peoples' lives." "If you exercise, it implies a certain amount of self-discipline, and I think that's always important," Delaney said. "I think voters obviously want to know about you as a person, so I guess it says a little bit about who you are as a person."